The 860 B gives you plenty of reasons to relax alone or with friends and family. 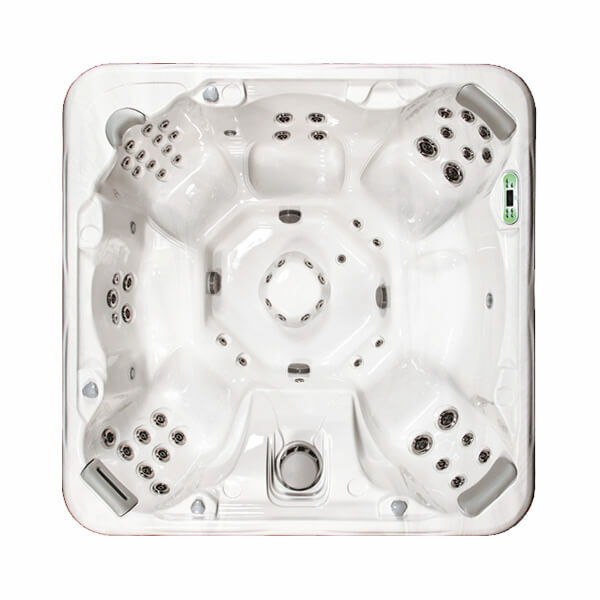 With multiple jet arrangements and open barrier seating, this Island spa is designed for you and your guests to enjoy together. The three corner swivel seats allow users to elevate their feet and get not only a back massage, but side muscles and arms as well.